This year is the 25th Anniversary of the miners’ strike. Coal is a dirty business – prized for its high energy content but expensive and dangerous to extract. The 1984 strike was not the first industrial unrest; the country was also brought to a standstill by the General Strike in 1926. Coal mining is an ancient and troubled industry. Coal has been mined since Roman times, even though most of us associate coal with the industrial revolution. Today it is carbon emissions that cause the most concern. Worries over CO2 emissions and the link with climate change has spearheaded a drive towards cleaner fuels. Although the UK coal industry has dwindled, coal still provides about 40% of our electricity. We burn about 50m tonnes of coal every year, but only about 17m tonnes from UK coal mines. The future of the UK coal industry hangs in the balance – skills and expertise are being lost as we import the majority of our coal. Whilst better solutions are being sought to the CO2 emissions problem – such as carbon capture and storage – coal remains a cornerstone of UK energy policy. There are still plenty who remember when the lights actually did go out. 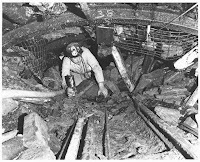 The miners’ strike is a distant memory, and today’s efficient society has raised awareness to environmental issues rather than continuity of supply. Whilst I am as keen as anyone on the pressing need to find alternative energy sources, it is worth sparing a thought for those who have the dirty and dangerous job of extracting coal. As work continues to find sustainable energy sources it is easy to forget the contribution this ancient industry makes to our economy. The advertising declaration was drafted by Cartwright's publicist in Sydney quickly after 1am and faxed to Melbourne's playground Hyatt Hotel, especially where it absolutely was authorized by Cartwright, Hewitt, and their managers Stephen Harmon and Justin Cohen.